Carports are a cost-effective way to safely store your car or recreational vehicles. Our carports suit almost endless designs and home setups and are versatile enough to add a garage door or front security gate. 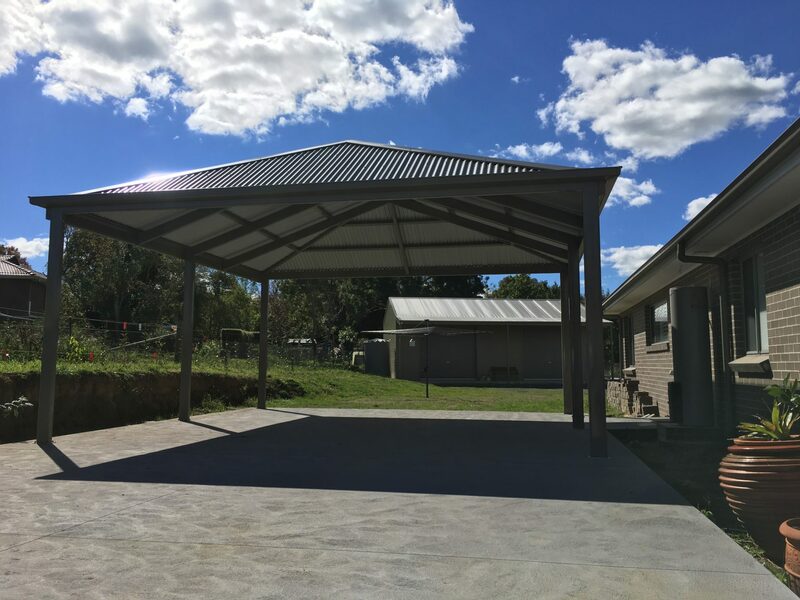 A standard carport size is 6m x 3m for a single carport, and 6m x 6m for a double carport. 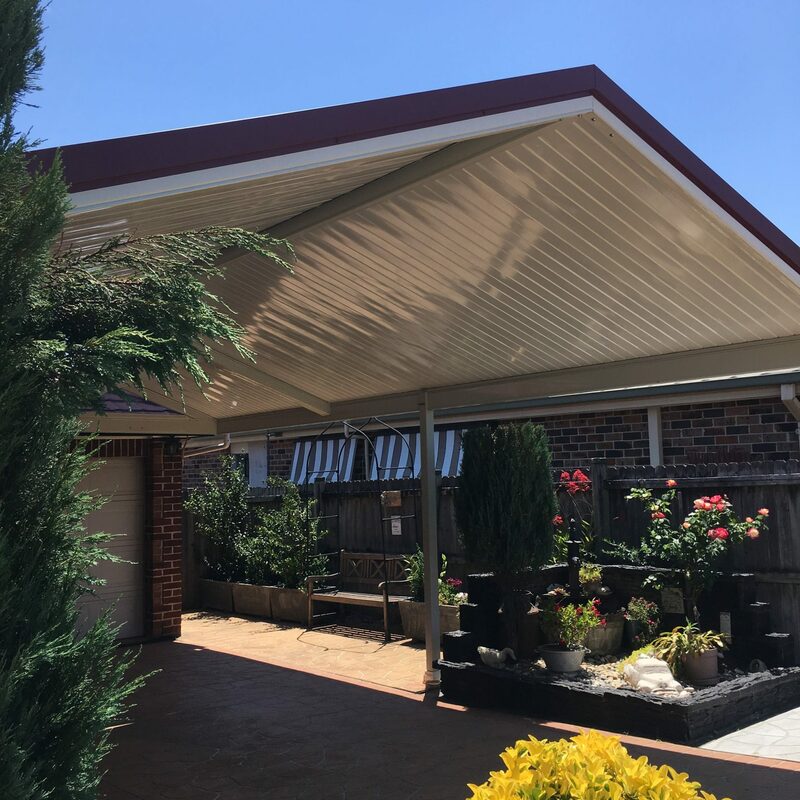 For those with taller vehicles, our Narellan Home Improvement Centre carports can be tailor-made to even fit semi-trailers. Always bear in mind that most councils require carports to be built no more than 1.5m from the front most point of your home. 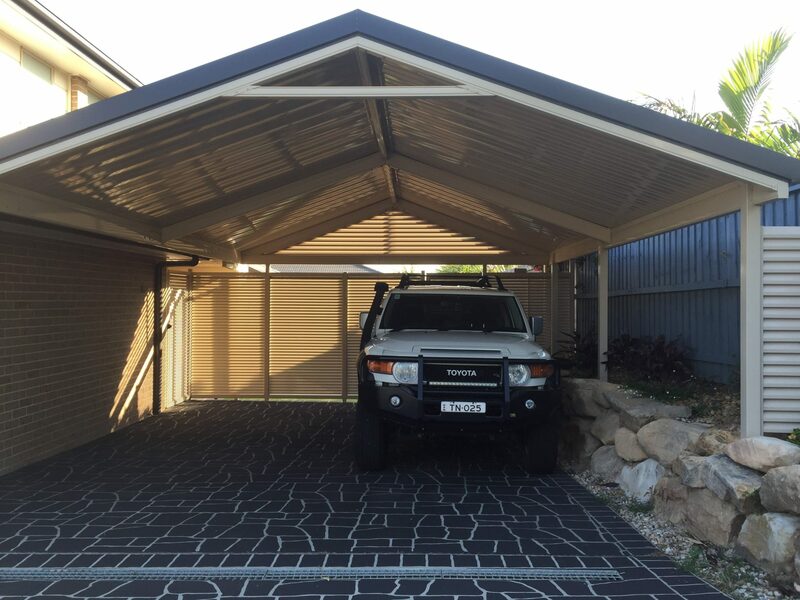 We can build your carport using a range of different materials to give your home and an appealing frontage. A carport is a great way to add value to your home, as well as lowering your insurance costs. We can cater for those requiring larger coverage such as 3-car carports. A gable roof carport is often recommended for those needing to park larger vehicles such as caravans and boats. 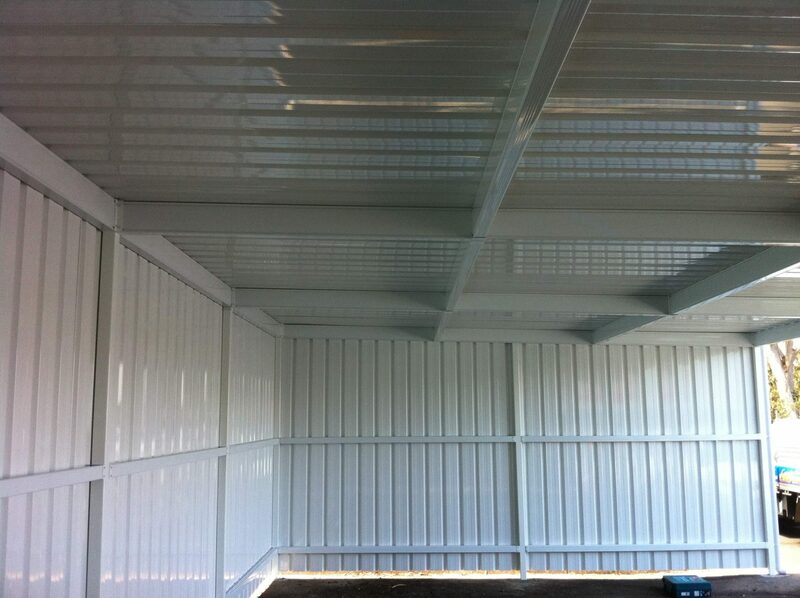 We can also enclose your carport with our range of Colorbond sheets. If you would like your carport completely enclosable, we offer a garage door installation service. 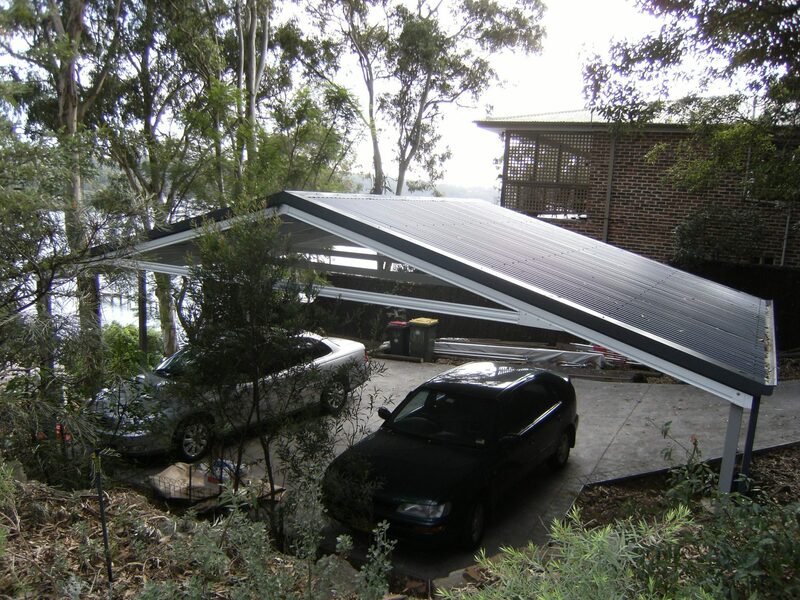 An insulated roof is not only suitable for pergolas, but also for carports. Insulated carports eliminate condensation so that your freshly washed car stays clean for much longer. Our fully-engineered carports are perfect as freestanding structures. While other brands require you to insert your posts into dug-out footings, our freestanding carports can be bolted straight to concrete slab. 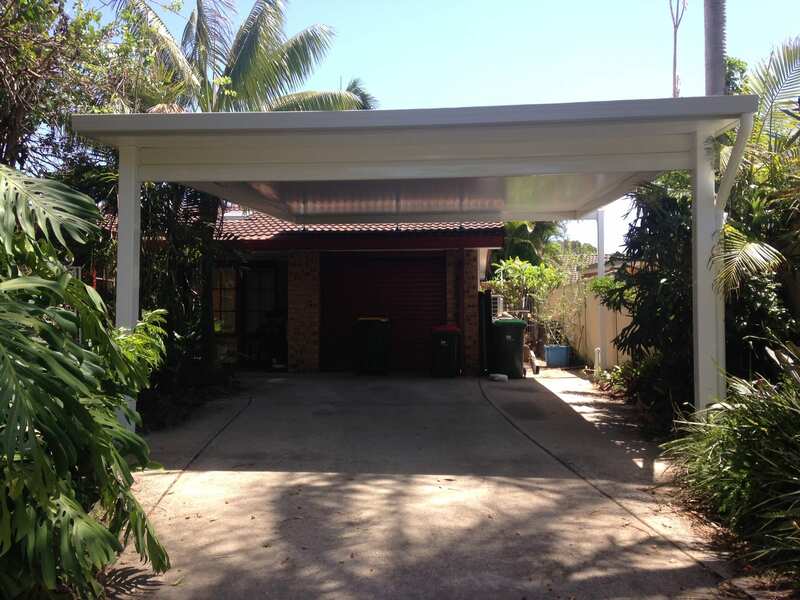 Our carports look great out the front of your home. 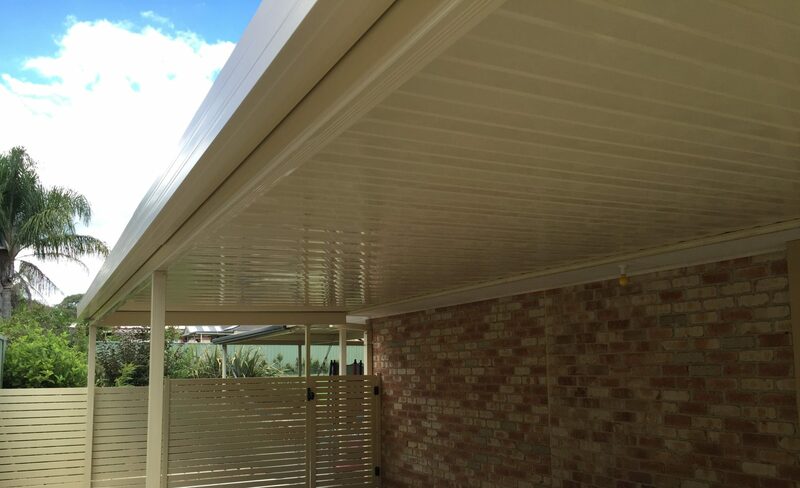 We can match the colours of your house roofing, guttering and trims to integrate your carport seamlessly. Add a privacy screen and gate to your carport for added security and lower insurance costs.